Previously air setups would’ve been hudden for a stealth appearance but with more and more people upgrading to Air Lift we’ve seen some seriously awesome tanks taking pride of place in a vehicle’s boot install. Sure all air tanks and compressors do the same job, but as you can see from some of our favourites below there’s plenty of fun to be had with a bit of creativity and a little elbow grease! 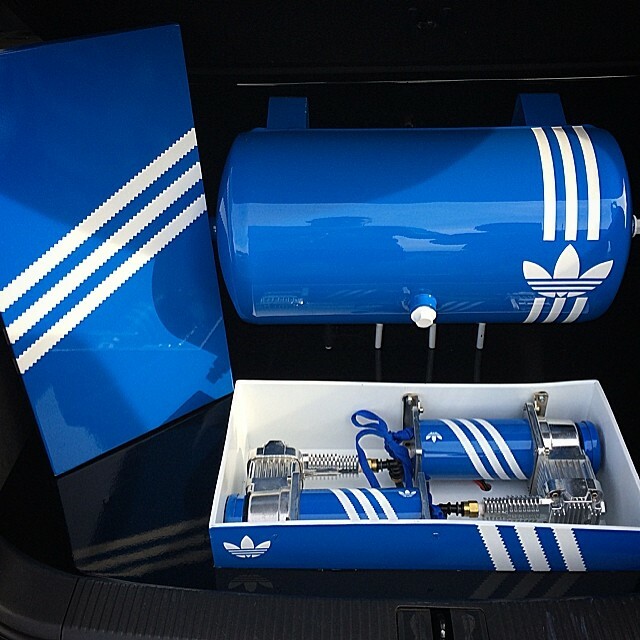 Getting a fresh set of kicks is one of the best feelings in the world, and Gabz Lee has taken this one step further by creating an awesome Adidas-inspired boot install complete with Viair compressors mounted in their own show box – love it! Now that is what you call a tidy setup! 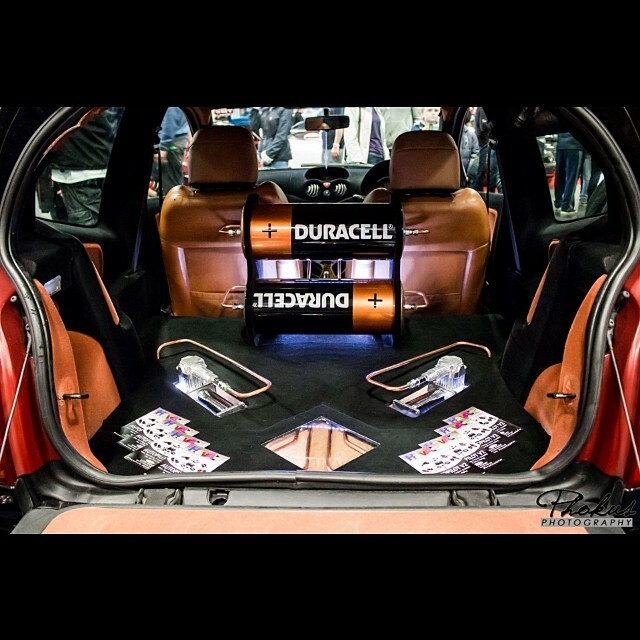 Rasmus has built his air tank setup using the spare wheel/boot floor as a base, installing a custom-shaped air tank to sit flush allowing total use of the Audi A6’s gigantic boot. Don’t be fooled by the pic, it’ll still hold close to 5-gallons of air. Keep your air setup fully charged with a little help from Duracel! Carl Raine’s Citroen C2 packs one of the cleanest air setups around, constantly evolving into the masterpiece pictured above. The recessed Viair compressors with hard lines are an absolute masterpiece. 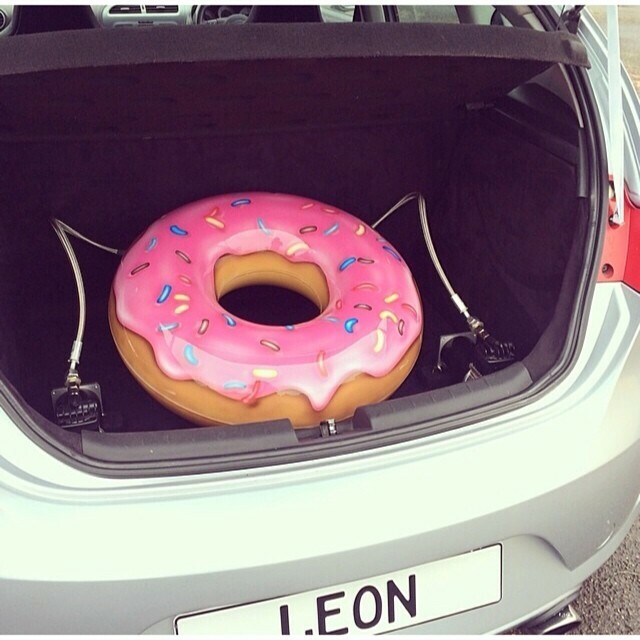 From doughnuts to candy, no tasty treat is exempt from the air tank treatment! 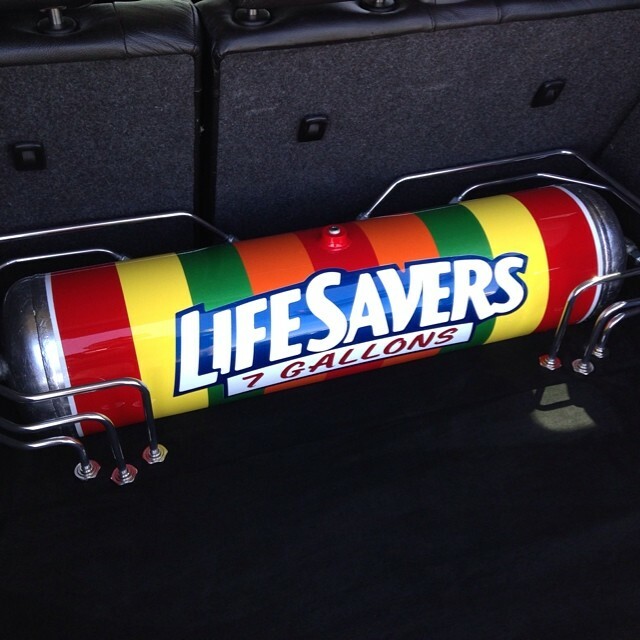 Reggie Pearson’s setup uses a 7-gallon alloy tank vinyl wrapped to look identical to that of a Lifesavers candy bar. Simple, clean, awesome.